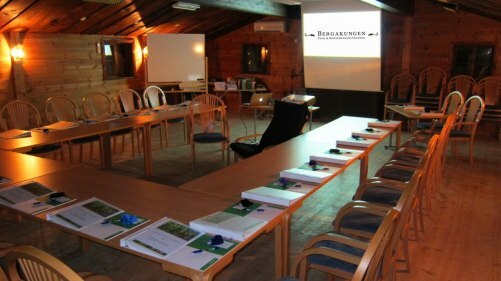 Bergakungen is a pleasant conference facility in a relaxed and family friendly environment. We create a cosy atmosphere, needed for a successful conference in a cosy conference hall with open fire place. Our facilities are equipped with OH, screen, whiteboard and notepads. Large screen projectors are available to rent. Note books, pens, fruit, drinks and candy are included in the conference service. We will make sure you are being served carefully prepared dished in the restaurant, according to your wishes. The situation, in the middle of Skåne makes the facility accessible and reachable from all of Sweden's Southern parts.